Thank you for your service to our country. We're proud to have you on our campus and will strive to make your experience a positive one. The Office of Veteran Student Services provides guidance, advocacy and outreach services for our student veteran popluations. Keep an eye out for upcoming information sessions! What Student Services Do We Provide? The Veteran Student Services office at UC Blue Ash College is a resource center that you can depend on in relation to all matters relevant to the Department of Veterans Affairs and your benefits. Enrollment certifications calculated and submitted to the Department of Veterans Affairs for benefits processing. Personalized Veteran Administration benefit counseling. Assistance with the transition from military life into civilian life and the college classroom. Social and professional networking and developmental activities to build camaraderie among veterans on campus. Representation from the Department of Veterans Affairs on campus with VETSUCCESS, a VA entity that provide valuable assistance. The state of Ohio has 3 VSOCS, and UC is fortunate to have one stationed right here on campus. Jill Cochran is available anytime for Student Veterans in need of assistance. The Department of Veterans Affairs (VA) is developing innovative ways to help Veterans make the transition to college life. The VetSuccess on Campus (VSOC) program aims to help. The VSOC program provides a VA Vocational Rehabilitation Counselor (VRC) to each VSOC school. These VRCs are called VetSuccess on Campus (VSOC) Counselors. A VA Vet Center Outreach Coordinator is also provided, and co-located on many campuses, to provide peer-to-peer counseling and referral services.Veterans, Servicemembers, and their qualified dependents succeed and thrive through a coordinated delivery of on-campus benefits assistance and counseling, leading to completion of their education and preparing them to enter the labor market in viable careers. Get the full VetSuccess details at the UC Veterans Services headquarters. 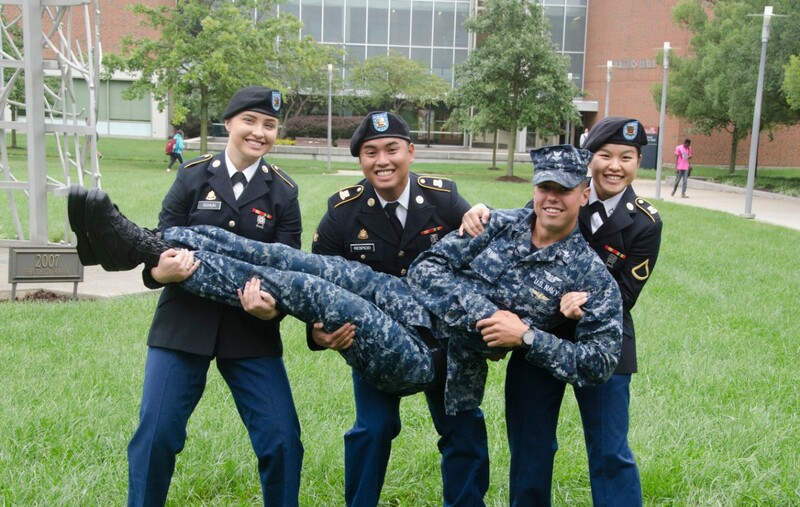 Veterans, active military and extended family members have all seen tremendous success through UC Blue Ash College. Check out some of the success stories from current students and alumni. Contact Joshua Monson for assistance with enrollment, benefits disbursement and counseling services.